A Charlestown moving company in business since 1977, Simonik Transportation & Warehousing is here to make your next relocation completely hassle-free. As an A+ BBB-accredited business and a certified mover with Allied Van Lines, we take a customer-driven approach to moving that’s based on industry best practices and cutting-edge technology. No matter which type of relocation you might be making, we have qualified Charlestown movers who are ready to serve you! 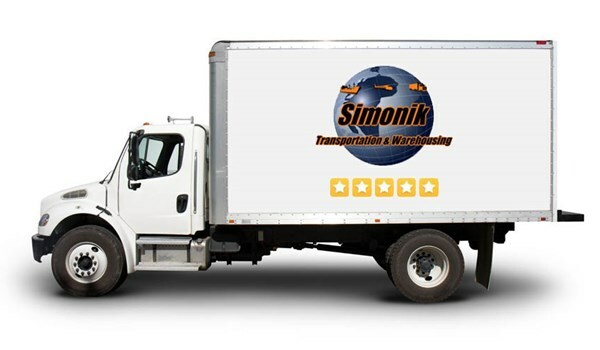 Here at Simonik Transportation, we pride ourselves on exceeding industry standards for quality and customer care. In a world where many Charlestown movers focus more on their own profits than their clients’ needs, we take the exact opposite approach! Starting with a free on-site moving consultation, we’ll make sure your priorities are heard and then tailor our moving strategy to fit your expectations. Residential Moving: We take the care required to carefully pack, protect, and haul your family’s most precious belongings. Many of our drivers have even been named “Master Movers” by Allied Van Lines! Commercial Moving: Our movers in Charlestown, PA can help with the logistics of your office move as well as your employee relocations. By adapting our services to your needs, we keep disruptions and costs to a minimum. International Moving: As a Registered International Mover (RIM), our staff is rigorously trained in global relocations. We can help with everything from export packing and shipping arrangement to customs clearance. Storage: Along with our moving services, we maintain a 79,000-square-foot storage facility that can safeguard any item in your home or business. We offer both vaulted and racked options based on your specific needs. When you need a Charlestown moving company, go with the industry’s best for more than 40 years: Simonik Transportation! Give us a call to learn more about our many moving options, or complete our quick online form to get started with your free on-site quote now.